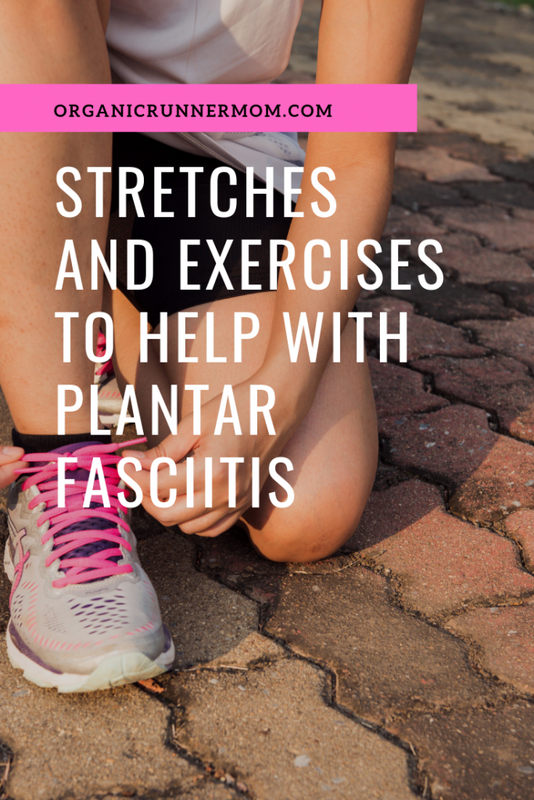 Stretches and Exercises to help with Plantar Fasciitis. The dreaded Plantar Fasciitis. A runner’s worst nightmare. Thankfully I have never had full blown PF but I have definitely had hints of it which I have quickly warded off with some exercises and backing off of mileage. Have you had plantar fasciitis before? According to WEB MD “Plantar Fasciitis is inflammation of a thick band of tissue that runs across the bottom of your foot and connects your heel bone to your toes.” This is a very common runners ailment. It can come on out of nowhere, can be extremely painful and can prevent you from running. I have never had full blown plantar fasciitis but have had small bouts of it when I get into overtraining or ramp my mileage up to quickly. It can start with a dull ache in the heel and bottom of your foot but can quickly worsen if you do not take steps to prevent it or to address its beginnings. Plantar Fasciitis is often worst first thing in the morning, progressively getting a little better as the day goes on as your foot stretches out a bit. Pain from plantar fasciitis is often worst after you have been resting or sitting and is often worst after exercise is finished. This is one of those pesky ailments that feels better as you run commonly causing runners to just run through it in hopes that it is getting better or going away. If this is not addressed it can get worse to the point of not being able to run and even ending up having to spend time in the dreaded boot to rest your foot completely. Plantar Fasciitis is caused by small tearing in the fascia which runs under your foot from your heel to toes. The small tears cause inflammation in the fascia which can be painful. This can be caused by excessive running, in those who, “neglect to stretch their calf muscles, or overdo hill work and speedwork.” (Runner’s World). PF can also be caused by training in the wrong footwear, by running on hard surfaces or due to biomechanical issues that are not addressed by proper footwear or orthotics. What can I do to prevent Plantar Fasciitis? Making sure that you have the proper footwear for running is key. If you are not sure if your shoes are right then head to a good local running store to get fitted. They should be able to get you in the right pair of running shoes if they are knowledgeable about running. Do these preventative exercises: Calf raises-Do these standing on a step. Do sets of ten, where you raise and lower your heel down past the step and then repeat. Doming-Barefoot, keep your heel firmly planted on the ground. Make an arch with your foot and hold, repeating reps. Towel Curls-You may be familiar with these if you have had or been trying to prevent shin splints. Use your toes to scrunch a towel towards and then away from you. Repeat in sets of ten. Heel Drop-Stand on a step barefoot and drop your heel down until you feel stretching in the arch of your foot. Hold this position for ten seconds then, switch feet. What should I do if I have Plantar Fasciitis? Ice-Ice the heel and the arch of your foot if you suspect that you have plantar fasciitis. I recommend using a bag of peas or an ice pack such as FrozenPEAZ as it can conform to the shape of your foot. Anti-Inflammatory-I tend not to like to take anti-inflammatories but in this case they can be used to bring down the inflammation in the fascia and help to alleviate some of the pain that you are having. Wear a night brace-This will stretch your fascia as you sleep by holding your foot in a stretched position. Wear the “Boot”-If your plantar fasciitis gets really bad wearing a walking boot will take the pressure off of your foot allowing you to rest it. Take a break from running and cross train. Swimming and other low impact exercises can be great choices for alternate exercise. Taping–Learn how to tape your foot using KT tape or other Kinesiology tape. Hopefully you will never have to deal with PF as this can be a nagging pain for runners that can be tough to treat. Taking the time to be proactive by stretching can help keep your feet ready to run. Have you ever had plantar fasciitis? How long did it take you to recover. What did you do to treat it? Great tips! Knock wood, I’ve not suffered from PF but I have friends who struggle with it chronically. PF is evil! I also did “toe yoga” and kneeling to stretch my arches. Thank you so much for all of this information. I had a very small case of PF earlier this year. I did all of the exercises recommended to me by my doctor and thankfully it went away. 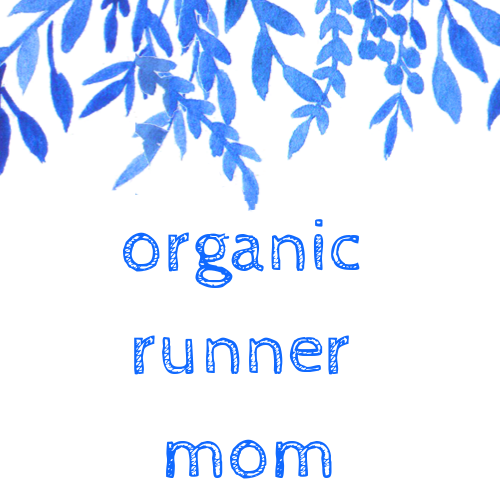 I have PF twice, both times when I was ramping my mileage for marathons…thus, I have learned to keep my mileage “moderately” high when 26.2 training and not “excessively” high LOL I often tape my arches for long runs (anything over 8ish miles) as a preventative measure. I rolled a frozen water bottle under my arches when the PF was flaring, and did a lot of arch massaging first thing every morning. Fortunately, both times the PF was pretty short-lived (a couple weeks), but I’m hyper aware of the early signs now. I have had PF a few times it is the worst! Oh, yes. I’ve had PF and it was a nasty beast. Unfortunately, I only felt better when I WAS running – it was just the right amount of stretching and foot motion. However, I also iced, rolled on a golf ball and did contrast baths of ice and scalding water to stimulate blood flow to help heal. It’s been a few years since my last flare, and I’m grateful for that. Jenn recently posted…give a girl the right shoes…. Had PF in college during my indoor racing season one year. It lasted pretty much all winter. Lots of rehab and icing and it eventually went away. Pretty sure I got it a few times back in my “CrossFit days”, but it never got serious even though I would normally train and run through it. I would often roll my heel into a massage ball or something similar.